You’re taking the leap, and you’re diving in. It’s GO time! Here’s a couple important factors to consider when choosing your blog domain name. But first, what is a domain name? A domain name (otherwise referred to as your URL) is the www.WONDERFULNAMEHERE.com that you choose (and purchase). It is the front line to your website. Ok, now on with the decision making! This blog post contains affiliate links. For more information on how affiliate links work check out this post. When someone sees your blog domain they should think “I know what that is about” or alternately “I want to know what that is about”. Your domain needs to be easy to type (preferably 3 words or less), memorable, and associated with your niche. Consider what people may google if they were looking for the information that you are providing. Are you going to sell a product? Is your blog targeted toward a certain population? Do you have something unique about your blog that you want people to know about? A trending approach is to use the bloggers name as their URL. This helps people put a face and name with the blogger and can be a great approach for creatives who are marketing their skills on their blog (ie – graphic designers, photographers, motivational speakers). It feels personal and approachable, and guarantees people know your name. If you are an influencer, youtuber, or are otherwise known for your name, this is the perfect way to quickly decide on your URL. If you’re not, bust out that thesaurus and start brainstorming! You’re going to need your blog domain to be available. This part is pretty easy, all you have to do is head over to namecheap.com and input your desired domain into their search bar. They will let you know if that specific domain name is taken, and will also offer alternate options if it is not. If you wanted the URL Mydesign.com and it’s taken, but Mydesign.co is still available, I strongly urge you to consider how committed to that blog name you are. You do not want to compete with a well established blog in SEO rankings (more on that later). 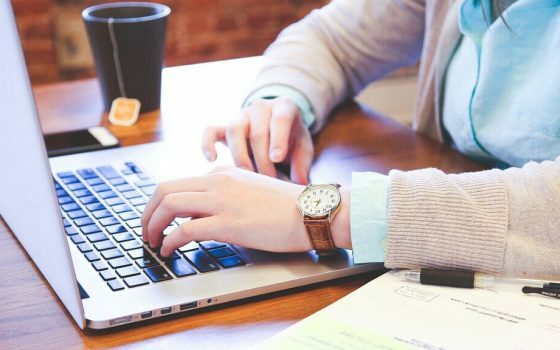 So while that may seem like a simple solution, it’s often more savvy to create a blog name that will not be competing with other blogs in google searches. Some bloggers are using alternate domain extensions (.co, .edu, .net, .store, etc). This is certainly an option especially if you are a creative and want to stand out from the crowd. However, if your market is more of an “every day” crowd you may want to stick with a .com address. While I believe in a couple years alternate domain extensions will be everywhere, people seem to still be getting used to them and feel a little uncomfortable and untrusting of anything other than the well known .com domain extensions. 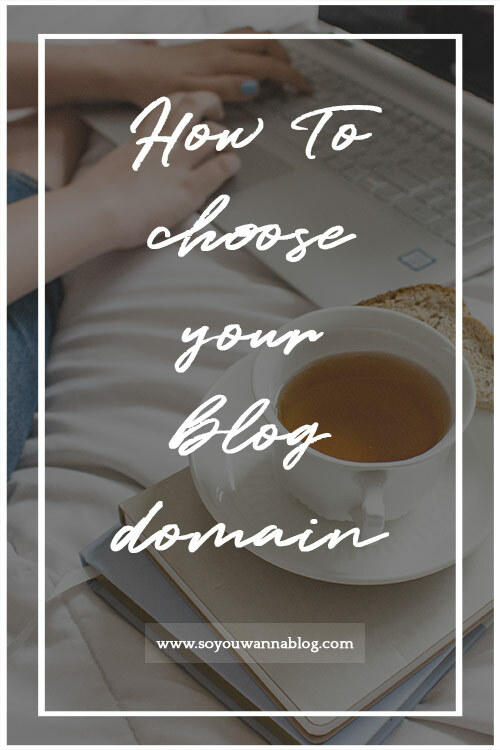 Now that you know what you want your blog domain to be, give that bad boy a google! Make sure there are no social media accounts using the name. Check Facebook, Instagram, Pinterest, Youtube, and other social media accounts you can think of. Even if you don’t think you’ll ever be creating a pinterest – go ahead and check it anyway. You never know what direction your brand is going to go or what you’ll want to do in the future. If the URL is being used as a social media handle already, consider whether or not you can abbreviate or change your URL only slightly to create cohesive social media handles. If you are planning on selling products under your domain name, or if your domain name will be the same as your brand name, you may also want to search the US Trademark database, to be certain that nobody has trademarked the name you’re hoping to use. You can buy the name directly from namecheap when you’re on their site. Most of the domains on Namecheap cost around $10. You can choose to buy your domain for anywhere from 1-5 years, and there will be an option for you to “auto-renew”. You will be offered add-on’s, but these are generally not necessary. You’ve bought your domain, now go reserve that name on all the social media you will be using (and even some of the ones you won’t be using!). I have been asked before “well do I really want to sign up for these before I’m ready to use them?” YES! I know it’s easy to get trapped in thinking that you don’t want to create an instagram profile until you’re ready to post 10 pictures and make it look beautiful. You’re just starting out – focus on getting things done! Create the accounts, because that is something you can do right now. Don’t get caught up in how you want it to look, just do the thing you can do right now! You did it! You’re a domain-owning blogger with ideas and a great big bright future! What’s next? Stay tuned for our next step-by-step guide to finding and purchasing website hosting! As always, let us know in the comments if you have any questions! We love to hear what you’re working on, and how we can help!